The guests of our Swiss residence’s apartments located in Paradiso, Lugano district, have access to two private swimming pools. Our structure’s swimming pools ensure a good level of privacy. The residents can enjoy their time with friends, family or by themselves. No crowd: here you can experience an exclusive atmosphere and breathtaking panoramas. The big indoor infinity pool of 80 sq.m. and the smaller outdoor swimming pool (21 sq.m.) reflect the magnificent panorama of Lugano. 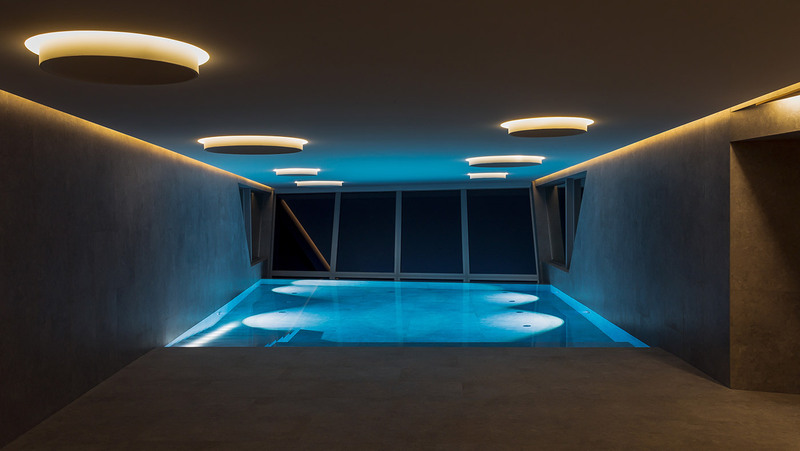 The indoor pool is illuminated by LED stripes and by natural light coming through round windows placed on the roof, creating suggestive plays of light. The infinity pool comes out from the slopes of the hill guaranteeing a 270° on the wood of San Salvatore Mountain, on the alps, and on Lugano. The result is breathtaking especially at the sunset with its romantic colors. A wide relax area is also available to the residents of the Nizza Paradise. Guests can get some rest and sunshine next to the outdoor pool. The project is planned by the architects in every detail and dedicated to the lovers of water. 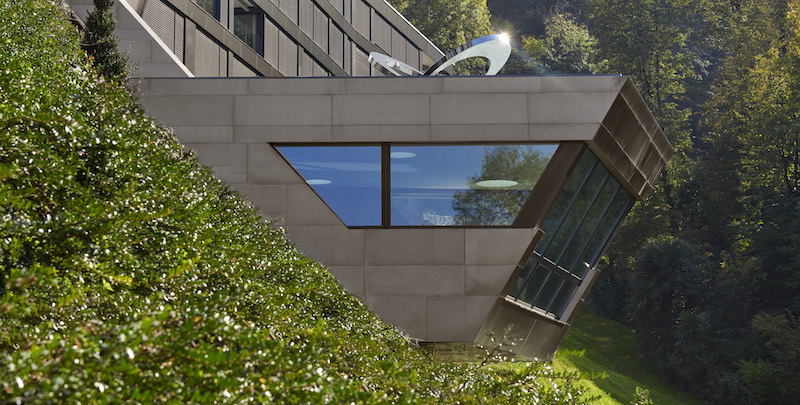 In this area the psychophysical wellbeing is particularly stimulated by the outstanding architectural and naturalistic environment. Pieces of heaven for any season. Wellbeing, relaxation and harmony with yourself and the surrounding nature. 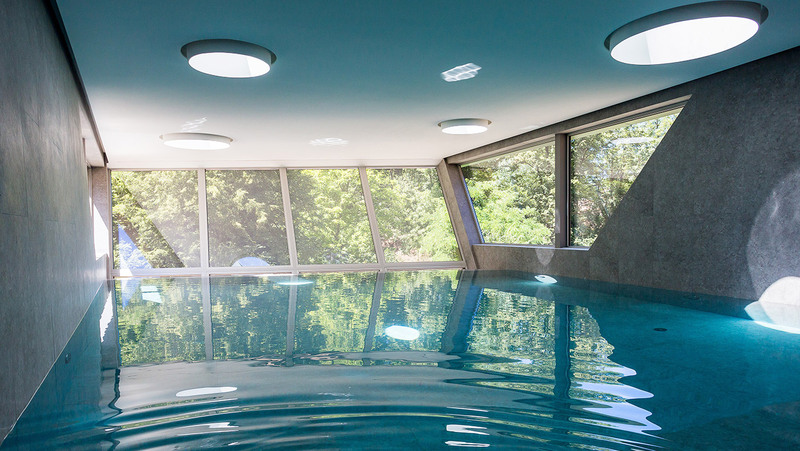 Apartments with swimming pool in Lugano (Ticino, Switzerland), share this page!